Summer is upon us and there is no better time to get outside, enjoy the sun, and sweat a little! Amidst all the fun in the sun, it is important to give yourself some well deserved TLC. 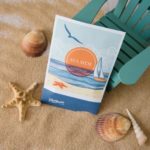 Here are some products that are sure to get you summer ready! All that perspiring traps dirt and oil buildup in your pores. The last thing you want this summer is a blemish filled face! This makes regular deep cleaning of your skin that much more important during the warm weather. 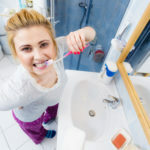 Clarifying treatments to clear out accumulated impurities is key. 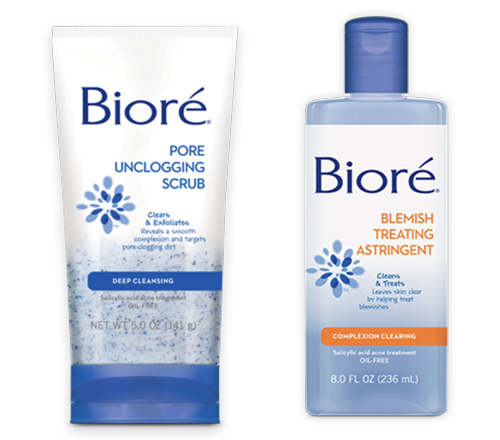 Bioré offers two wonderful products to rinse away the summer grime for bright, fresh, flawless skin. Bioré Deep Cleansing Pore Unclogging Scrub and Bioré Complexion Clearing Blemish Treat Astringent work hand-in-hand to leave you with the perfect summer skin. The Cleansing Pore Unclogging Scrub is a gentle yet effective face wash that uses spherical beads and the pore-unclogging power of salicylic acid to deep-clean clogged pores. It is gentle enough to use everyday, yet tough enough to rinse away the summer grime. The Complexion Clearing Blemish Treating Astringent helps to treat blemishes and reduce surface shine for clearer, happier skin. This power-packed toner formula goes beyond just cleaning and actually helps treat blemishes and helps prevent future breakouts. On the surface, this astringent formula instantly removes oil, dirt, and make-up as it cuts down on surface shine, which is perfect during these hot summer months. Meanwhile, deep down, it helps clear skin by treating blemishes and helping to prevent new breakouts. Where to buy: ULTA Beauty Stores, Walgreens, and other food and drug stores. Summer is a tough time for our hair – it can easily become frizzy, dehydrated, and weathered by the sun and dry wind. Not to mention the damage that occurs after a day at the pool. Your hair is begging for a little TLC, and a nourishing hair treatment system is just the answer. Organix has developed a line of products that seeks to return hair to its touchable self just in time for summer. 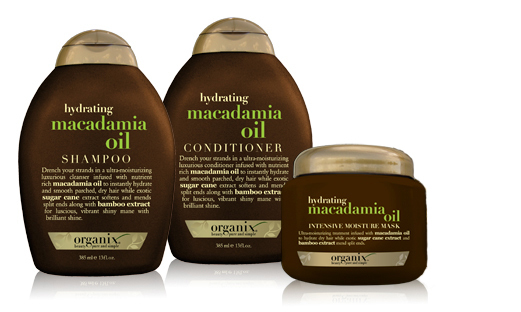 Organix Hydrating Macadamia Oil Shampoo and Conditioner and Organix Hydrating Macadamia Oil Intensive Moisture Mask will give your hair much needed moisture. The Hydrating Shampoo and Conditioner will rid your hair of build up, leaving it smelling fresh and clean. It is perfect for any hair type and safe for color treated hair. This is the perfect shampoo and conditioner for everyday, or every other day, use. The Intensive Moisture Mask is for when your hair needs a little extra attention. This indulgent deep conditioner will leave even the driest, most brittle hair with moisture, leaving it soft, supple, and touchable with a fusion of gentle conditioning macadamia oil and moisturizing bamboo extract, while sugar cane extract gives hair silky new life. Where to buy: ULTA Beauty Stores, Target, and other food and drug stores. With your face and hair taken care of, its time to give your feet the much needed attention they deserve. After all, they are there for your support all summer long. Get your feet in perfect sandal condition with Burt’s Bees. 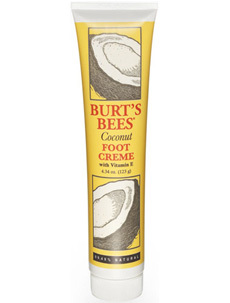 Burt’s Bees Coconut Foot Cream is sure to leave your feet beautifully smooth, and smelling good too! 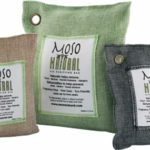 It will revive and rejuvenate dry feet with Coconut Oil and will refresh with rosemary and peppermint extracts. This is a summer must have after your feet are dry from a day at the beach or are tired from sporting those adorable high heels you just bought. Where to buy: ULTA Beauty Stores, Burt’s Bees online, and other specialty food and drug stores.